Do you want to really step-up your health and physique? The 30 Day Ketogenic Cleanse book is the book for you! 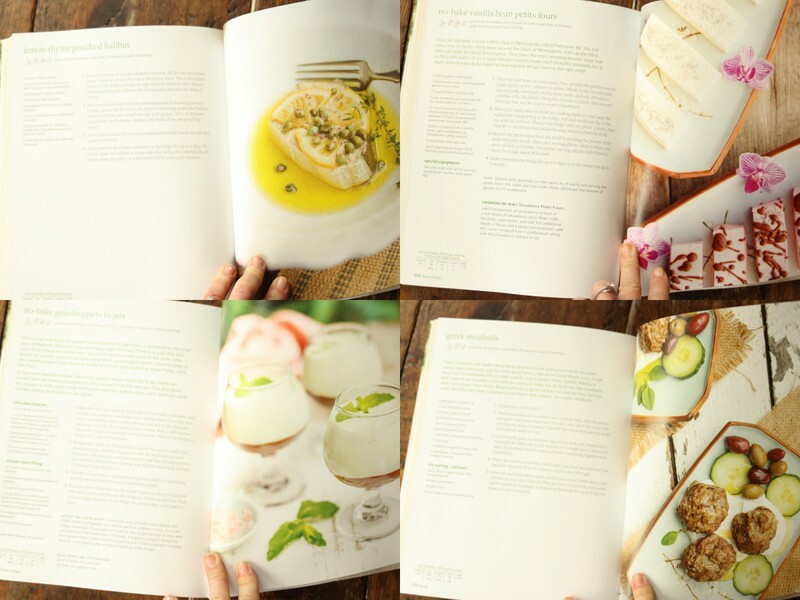 It is not only an amazing cookbook, filled with 100% dairy free and nut free recipes, but it also has Whole 30 meal plans, exercise plans, guidelines on how to heal your mitochondria with EZ water, grounding, light therapy and much much more! 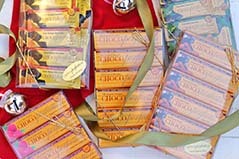 Enter to Win all 3 of my Victory Belt Cookbooks! 1. 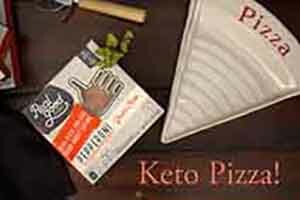 Like Keto Adapted on Facebook and share my information with your friends and family! 3. Comment below on what your goals are for 2017! Good Luck! Winner will be chosen January 7th! AND THE WINNER IS…. Jenny Miller! Congrats! I am just starting this woe and need to lose 130 lbs. I am very happy I found something that works for so many. I’m excited to get started! I want to loose weight and be healthier in 2017! So many goals for 2017! One random act of kindness a week, get into ketosis and fat burning mode (just discovered this back in November! 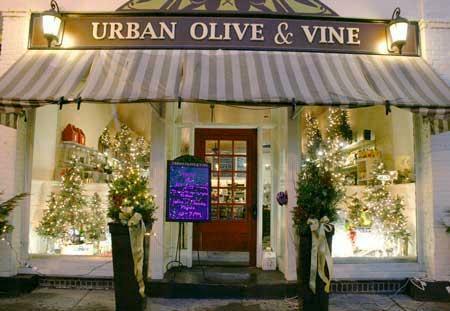 ), read 1 book a month, and go out on a date night 1 time a month with my hubby! Hi Maria – received an email for cauliflower arepas and when I open it it says 404 not found. Did something happen to it. I was able to open it the other day. Thanks!! I have been on the Ketogenic diet since Nov 21, 2016. I have lost 17 pounds. My goal for 2017 is to lose weight ( I need to lose 70 more lbs.) and get healthy. I was pre diabetic and low energy when I started. I need to exercise, which I have not done yet. I would love to have your books to help me cook for my family. It is challenging to cook healthy when I get home from work and am tired and It seems like a cook the same thing over and over. Hi Maria, I’ve recently discovered your books and recipes. I’ve been eating LCHF for the last year and have lost 115 lbs so far. For 2017, I want to lose 10 more lbs, but most importantly, I’m healthy now, and I want to Stay healthy. I want to be healthy, eat health and eat more naturally. Hi Maria. Just found your page when I asked friends about going Keto vs low fat for my goal of truly getting healthy this year. As I approach my mid 30s I’m heavier and unhappier than ever and have continually tried counting carbs or points and stressing on low fat unreal food, leaving my self starving and still fat. For me, I would love to tackle my unhealthy relationship with food and regain a respect for it and myself. I would love to win these books to help me on this journey to a new me and new life. My goals are to keep on the path to health! Still learning ! I really appreciate all the information you share. I’m following the ketogenic diet to hit my goal of socking my hashimotos into remission. My goal for 2017 is to incorporate more yoga into my daily routine for stress relief! Hi Maria! I love your books and everything you do. I have been eating LCHF for about 8 months and fell off of the wagon during the holidays. I feel awful and would love to jump back on. My goals for 2017 are to get back into the LCHF lifestyle….to be kind to myself….and to take one thing at a time as I tend to get overwhelmed 🙂 Thank you so much for the opportunity! I t love your recipes!! My goal is to finally heal my insulin resistance!!! My goal for 2017 is to be a better person physically and mentally. I would love to be more disciplined with my meal prep so that my family & I reap the results of eating keto — feeling better and maintaining a healthy weight. I’ve lost 45lbs and plan to lose another 50 this year! Would love to have your books in my collection! My sister turned me onto LCHF, she has lost 50 pounds since July!! I started eating this way because I wanted a healthier lifestyle and to drop the 15-20 pounds I put on due to hypoglycemia and adrenal fatigue…plus, it’s fun for us to be able to do it together….I’m down 8 so far and really enjoy this new way of eating…especially because I didn’t have to give up sweets (my weakness)!! My kids have been pretty good sports about all this and I hope I’m teaching them life long lessons in health and wellness!! I’ve been on LCHF before but somehow I lost my way. Keto diet may be the way for me to get back on track. My goals for 2017 are to remain keto 365 days, encourage my homeschooling kiddos towards better LCHF/Keto choices, and to get us all more active! My goals for 2017 are to faithfully listen to my body to find out what foods have it run most efficiently, to reduce my overall body fat % to lean levels, and to share what I’ve learned with at least 3 ladies on the same journey!!! Thanks for being a lighthouse to those not knowing where to start with cleaning up their nutrition! My goal is to be my best Keto-me. I have a first goal of losing 11 pounds (on top of the 21 already lost). After the 11, I want to lose another 25. Steps. Just started Keto in Nov. so also want to keep learning more about it and exploring more Keto options. Loving it so far! I want to share keto with as many people as possible. Main health goal for 2017 – continue on my clean eating plan which has many health benefits! I have struggled with my weight since highschool when I was diagnosed with ankylosising spondylitis. I was no longer able to participate in the sports I loved due to severe pain, yet my appetite remained the same. I recently started a keto diet, and I love to cook! I would be grateful for these cookbooks, not only to help me, but the rest of my family, as well! Thank you for this opportunity!! I forgot to add – my goal for 2017 is to make healthier decisions and to break my sugar addiction! Hi Maria…I’ve been doing LC for about a year. Although I don’t have much weight to lose, I am trying to get a handle on multiple health issues & never-ending food allergies. Found your blog & books. Thank you!!! I need to get back on keto again. I’m eating low carb but I went off keto after being DX with type 1 diabetes. My bs is back in control and I feel like it’s time to fix my diet. Goal for 2017: heal my body with food. Find a way to be healthy so that I can be the wife and mom I long to be. Hi Maria! Happy New Year! I started my grain-free lifestyle two years ago by reading Dr. Davis’ Wheat Belly books. I learned of you through him. I regularly started following your blog for the past year and have now kicked my lifestyle up a notch by trying to go keto as regularly as I can. I read as much information as I can on your website to soak up as much of your knowledge as I can, but I still have so much to learn! My 2017 goals are to continue to learn, continue my grain-free and keto lifestyle, to share the information I learn with my family and encourage others to read and learn, to continue to introduce new foods and recipes to my kids and win them over to this way of eating! Winning your books would go a long way to helping me achieve my goals. Thank you for everything you do to help all of us that you don’t even know. Know that you have helped more people than you will ever understand! My goal is to not fall off the keto wagon! I treat myself with cheat days which lead to cheat weeks….and you get the picture. I love sharing your website and books with my friends. Hoping to spread a healthier keto message. Hi Maria! I all ready ordered your new book and was planning on getting the others at a later time, but winning them would be awesome! lol I can’t wait to get started. New year, new me! I need to pay off at least one of my credit cards and I need to keep eating the keto/low carb way! My goal is be healthy and happy with myself!! Im a beginner. So I really need an idea how to start a keto diet. Thank u. My goal is to truly focus on me this year. I want to gain strength in my body and mind. I want to lose 30 lbs before my 30th birthday. I also want to save some money to take a trip during my 30th year! I’m so thrilled you asked to comment with a specific topic in mind! And I’m even more thrilled that the topic is “goals for 2017”! Why? Because I have just commitment to ditch my dependence on sweeteners in 2017. Of course, I stopped using sugar a long time ago, but I have still been using stevia pretty heavily and daily for that. This is my day 3 without any stevia at all and I’m feeling great! I think we are hooked too much on the sweet taste and it’s time that we end it. I’m already noticing other tastes more than before – savoury dishes are so much more interesting and so much more dimensional than the sweet ones. I don’t mind a sweet treat once in a while, but daily treats cease to be treats and become the normalcy and that’s what I’m attempting to change onece and for all. I am a total newbie and am only just beginning to arm myself with the info to get myself on track with the keto lifestyle. I have recently purchased a glucomenter and have been tracking for 2 days – with some success! I would love to win your collections of books to give me more tools to succeed with my goals. I have 40+ kilograms to lose to get healthy and into a healthy weight range and I need to keep myself on track and accountable. My goals for the coming year are to lose the weight by living a keto lifestyle and successfully maintain the loss by continuing with the keto principles for life. To live a grateful balanced life, spend more time with my dogs, be passionate, efficient and focused, and win all these books to help me successfully convert to a keto life-style! 🙂 Thanks! My goal is to keep my 6 year old daughter’s a1c in the 5’s on a low carb dairy free diet! In 2016 my health was a roller coaster, after the birth of my son I was very ill, went to all the doctors, ran all the tests and no one could give me any answers. It was defeating, until I followed my instincts and changed my diet and found my own answers, gluten was my enemy. In 2017 I want to continue to repair my body and regain my strength and energy. 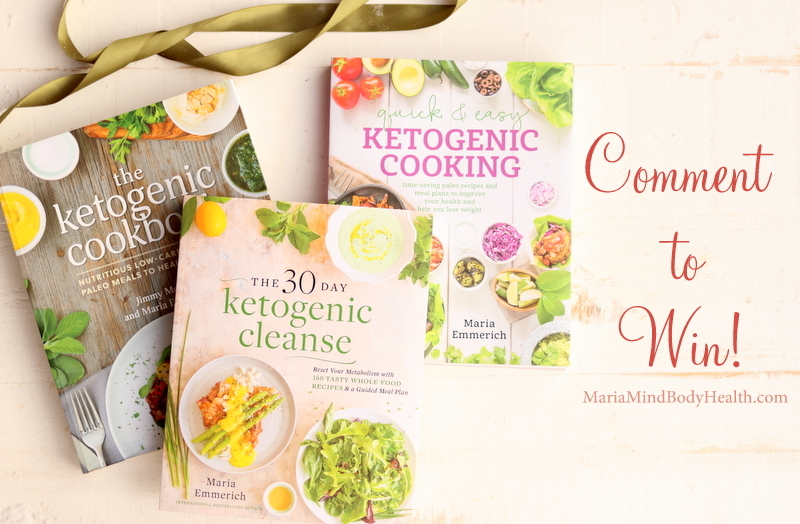 I would love to win these books as I follow a ketogenic diet and these are full of great recipes and ideas to keep me on track and healthy. My goals for 2017 are to cook more of a variety of meals and to keep losing weight until I get to my target. Ketogenic eating has changed my life. Thank you for being part of a group of people who have contributed to that. You have probably helped add on years to my life!! I can’t follow you on instagram as I don’t have an account. My goals for 2017 include continuing on my keto path and guiding my teenage daughters toward this healthy lifestyle. My other goals are to move/but a house. My goals for 2017 are to continue on with my keto eating after I’ve finished the 30 day cleanse and maintain my weight loss! Love the book!!!!! 2017-to finally figure out what isn’t working correctly in my body so that everything functions at it’s best. Just got the 30-day cleanse (which I LOVELOVELOVE so far!) and this will be my first time to go full on Keto- I have loved all the the recipes from your other books I have tried, but have not managed to go all in yet- as no one else in my house of 6 is interested in doing it with me. So having to prepare food for everyone is a bit insane when you already eat whole and clean foods- so much prep! But a touch of planning goes a long way! Happy New Year! I love Maria and her wonderful family….. Would love to add these books to the Collection we already have and use all the time!! Love you!! My goal for 2017 is to adapt to this new way of life, and to help my family do the same. I would love to be under 200 lbs by my 43rd birthday in july! 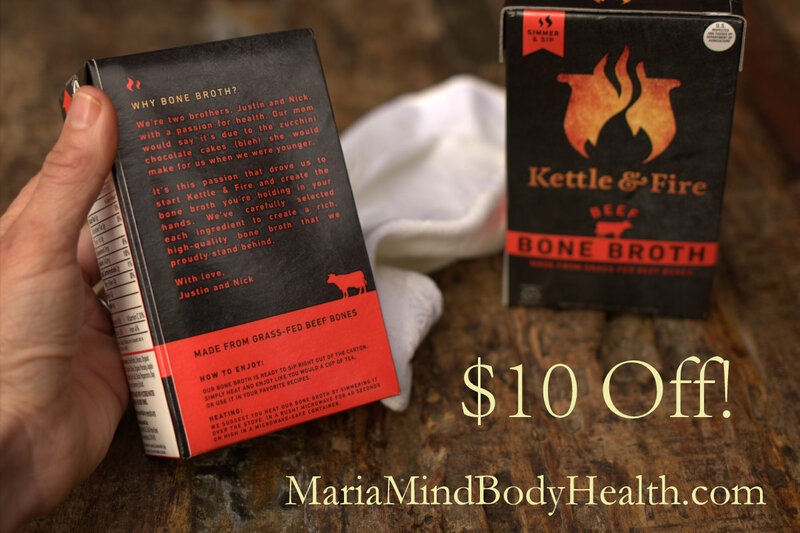 Hope to win this set and help my entire family adjust to this new and healthy way of life! Thank you! 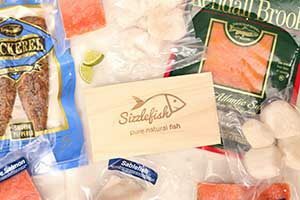 So excited about this giveaway! Wish me luck! My goals are to get healthy and consistent! My main goals for 2017 is to stay keto, reach my goal weight, and stay committed to strength training. Thank you for this opportunity to win your fabulous cook books! It would be great to win! Thanks for the opportunity! 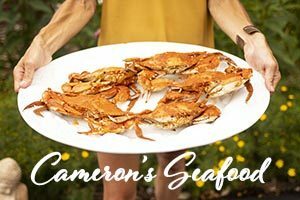 I’m a newbie who is making myself a priority in 2017- I love to cook and would love your cookbooks! I want to learn to deal with stress better in 2017! 2017 Goals: Gain a deeper understanding of my body’s health through clean keto eating. Control, as much as is possible, my thyroid dysfunction through food rather than pharmaceutical. Gain strength and clarity. Spread the word. 2017 goal is to move more and eat healthier……love your recipies! My goal for 2017 is continue healing my body from the inside out. To stay low carb for life I feel so much better when I do! Love you website more than anyone else’s ! My goal for 2017 is figure out this ketogenic way of eating. I just started at the beginning of December and I’m still learning. I need to continue eating keto for that makes me feel best. And get rid of my excess fat. My 2017 is to reach my goal weight through Keto! Hi Maria! I’ve been transitioning to a ketogenic diet after starting Keto//OS just over 1 year ago. My goal for 2017 is to finally lose this weight that has been dragging me down! My goal in 2017 is to get healthy and lose weight! I love your recipes! 2017 goal to remain in keto eating and get more exercise – thank you! Goals for 2017: Find a way to be healthy so that I can be the wife, friend, financial supporter, and mother I want (and need) to be. (I want to be around for a long, long time, for my son) and pay off at least 1 debt (vehicle, credit card, student loan, something). I plan to lose 20 pounds and finally take a trip to Colorado. My goal is to be consistent with healthy nutrition each week. To lose the last ten pound hanging on and to grow stronger in the gym. Nutrition is huge in gaining strength. To have the pains from too much sugar and grains go away. To feel good about the way I look and feel. My 2017 goal is to continue my Orange Theory workouts of at least 3 times per week, keep up with my newly started Keto diet and lose the last 15-20 stubborn pounds I need and to be more confident in my self! My 2017 goals: continue on the path to wellness with Keto, light exercise & clean beauty/household products PLUS declutter my home! I have a few of your ebooks, totally packed with value.. My goal for 2017 is to loose the weight I actually gained on the Keto diet, I am definatley doing something wrong, and to lower my bad cholesterol, as it has increased into the danger zone.. I am not sure what I am doing wrong but I sure could use some help and using your books will definitely to a step in the right direction.. Thank you Maria much appreciated for the opp to win. In 2017 I hope to increase my energy. My goal for 2017 is to keep the weight off I lost in 2016 and continue to improve my health and fitness. What a great giveaway. Thanks for the chance to win. I hope to get healthy in 2017. 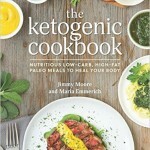 Hi Maria, I bought Ketogenic cooking as an ebook when I started the diet. I am down 35 lbs and my husband is down 20+. We have lost a toddler!!!!! We need to lose a small woman. I am over 1/3 of the way to my goal, we started in september. I love your book, and your boys are beautiful. I dont have a gallbladder, so the fat i spread out more than my husband. I have to modify or completely cook a different meal for my 4 teen girls, as they do high carb a lot, so I cant give them high fat as well. I have really missed my sweets (i actually shed a tear the first week, telling my husband that life without cake was not worth living!!!!). Right now as we are so busy with life, we pretty much just make a chocolate moose type substance, or really it is just whipped cream with cocao and truvia! Thanks for everything!!!!!!!!!!!! Hi! 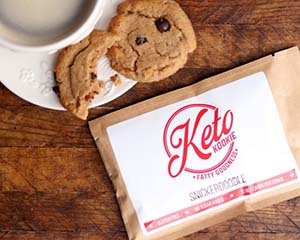 I am new to Keto’s and have started collecting information to educate myself for success. My goal is to feel better and lose weight. My goal is keep trying to heal my thyroid. It has been a battle but I believe in this way of eating to heal your body. I would love to win a copy of your books. You are awesome! My 2017 goal is to reverse insulin resistance and lose 30 lbs permanently. My 2017 is to get back on keto and back to the weight and cholesterol I had last time I did keto! I just started the keto way of life and so far I’ve lost 6 pounds in about a week and my energy level is better and I’m noticing other benefits to like satiation and a desire to drink water. These tools would also be very helpful. Thank you for all of your blog and Facebook and Twitter post. I’m an avid follower! Keep doing what you’re doing. It’s very helpful for people like me. My primary goal for 2017 is to get back onto the low-carb WOE and not to be sidetracked! 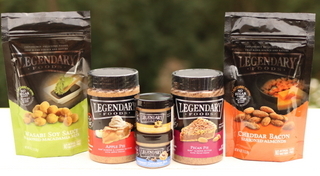 A secondary goal is to start altering appealing high-carb recipes so that they are both delicious and low-carb. Thank you for all that you share with us! My goal is to continue eating Keto and for my husband & I lose more weight. Hello, my goal is to get down to a healthy weight between 200-220 pounds. I’ve been eating Keto for about 4 months and have lost 59 pounds. I was having sinus problems due to milk allergies and I just purchased your “Ketogenic Cooking”. Already have cooked 5 different recipes and love them all. My favorite is the Eggs in Putgatory so far! Thank you for the great recipes! My goals for 2017 are to get stronger and really focus on keto eating. I have two of your books. I don’t have the rest so I am hoping that I can get all the rest to my collection. Thanks for your inspiration to all of us! My goal for 2017 is to continue losing weight, eating healthier and learn and try all the keto recipes I can. I love the cookbooks that I have. I find the keto lifestyle delicious, satisfying and something I can embrace for a lifetime. Thank you for all the great recipes. My goal is to lose weight and hopefully get relief from chronic inflammation and Lipedema. I’m not very good at eating the same thing everyday, so this cookbook would be amazing to have at hand. Would like to learn follow a low carb or ketogenic WOE to lose weight and get healthier. Need good tasting recipes in order to make me want to stick to it. Thanks for sharing your recipes and books. I lost 35 pounds last year on a ketogenic diet and reached my happy weight. I felt amazing and wanted to share what I learned with my friends. I created a group to share tips and recipes with a few close friends. I got off track a little over the holidays but have started back on track as of 1/1/17. This year I am focusing on a new happy weight but more importantly learning how to strength train. Hi Maria! I just started my keto journey and you have been a wonderful resource! I hope you keep helping others for years to come! My migraines are back. My goal is to go back on the Keto diet and not CHEAT!! I need to feel better and quit putting myself through this misery! I eat clean and workout five days per week, but found I still had no energy and was even grumpy more than I care to admit. Then I read about the keto lifestyle. I’ve pitched it to my husband and five children and they’re all on board. So, for 2017, my goal is to transition our family diet to the keto way of eating. I am so excited about the possible benefits I’m going to see, not just in myself, but in my husband and children as well. Thanks so much Maria for creating recipes that are amazing, but also easy to prepare and very family friendly!! This busy mom really appreciates it. I stumbled across an article about a woman who lost lots of weight using your program. I had never heard of Ketogenic dieting. I immediately bought your Quick & Easy Cookbook and have been doing it for 6 weeks. I feel so much better! I haven’t lost much weight, but I don’t feel bloated anymore and my general energy is much higher. This is the lifestyle I want to live. In 2017, with this Ketogenic lifestyle, I hope to shed 30-35 pounds. I currently weigh 155 and am 5’3. I visit your Instagram almost daily and am now following you on all platforms. I think some of your other books would benefit my life greatly. I thank you, for introducing me to this new way of eating! I really fell off the wagon this past year and am having a tough time starting up again…the biggest hurdle is exercise. I hate to do it alone! But…I know it is important so I plan to work up a sweat somehow a good three times a week. Sounds like I need to learn about the keto ckeanse. .
Next year I’ll be hoping to fine tune my carbohydrates (type/quantity) for optimal nutrition! My 2017 goal is to put my Hashimoto’s into remission…increase my income so I can find a place to live and eat better. Take care of several malpractice issues. Get away from all the nasty people in my life, so I can eliminate the stress and do for myself. I love your recipes! My main goal for 2017 is to become fully keto adapted, improve my health, and get my family (especially kids) eating this way as well. I want to be more healthy and more mindful this year. Your cookbooks help with both of these. When I take a minute to make ranch dressing that has herbs and 3 other ingredients then look at the paragraph of unpronounceable things in a bottle of ranch dressing bought at the store, I am very aware of what I want for my family and what I don’t want for them. My 2017 goal: to do what is necessary to extend the quality and quantity of my life. My goal for2017 is to reduce my A1C and keep it down. Thanks for all your help Maria and Craig! My goal is to be more committed to the keto lifestyle. I do well but I have “lazy” days (and sometimes weeks) where I don’t feed myself and my family well. My plan is to do a weekly meal plan, shop for meals and have home cooked on the table at least 6 nights a week. 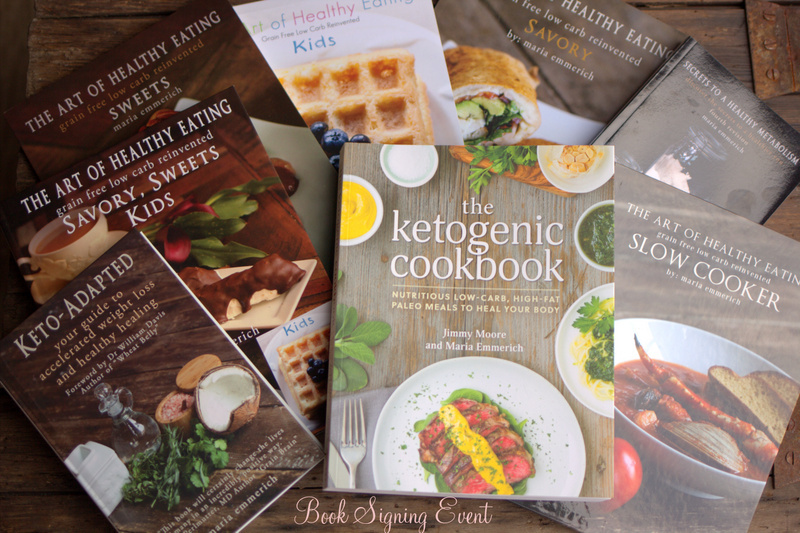 Love your books – the Ketogenic Cookbook and Quick and Easy are staples in my meal planning. I am 3 weeks out from giving birth to my first baby, a little boy! My biggest goal for 2017 is keeping it Keto and getting back into better than pre-baby shape. 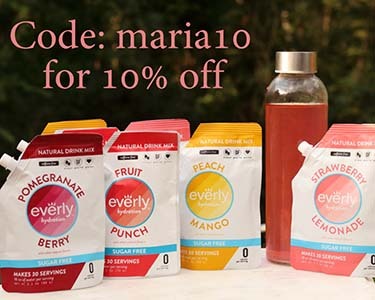 Using Maria’s recipes has been a staple of mine, and I would love to win this collection!! I’m new to HFLC and I’ve lost 25 pounds in 2 1/2 months. My goal is to lose the next 25 before June by continuing this WOE and I am comfortable enough now that I started going back to the gym yesterday. Thank you for your recipes and sharing your knowledge. Just bought your 30-day cleanse book. Very excited to try it! My goal for 2017 is to take my gluten intolerance seriously, learn the Keto lifestyle and help my husband cure his chronic gout. While snowed in yesterday, I took the first step and ordered your 30 day Advance package. Oh My!! This would be so much better then going to pinterest. My goal for 2017 is to lose the last 20 to 25 pounds of my 65 pound weight lose journey. Have lost 42 so far and are no longer in the pre-diabetic A1C range. My blood work is fantastic and I feel great!! My goal is to KCKO (keep calm and keto on). I want to make my goal weight but then I want to maintain that longterm. Thanks for your help with that. I would love to get these other cookbooks! I love your recipes and helpful info! Thanks so much for all you do! My goal is to be pain-free. My goal for 2017 is to continue on my path of being sugar free and grain free, and doing a better job at it. I’ve lost weight, but should be losing a lot more with the radical way I changed my lifestyle. There are a lot of health issues involved, so I’ll keep working on it. Thanks for the chance to win! Amazing! I recently started doing the Keto diet with the goal of being the healthiest I’ve ever been and maintaining this diet as a way of living. My next goal is to get my husband and all six children on board as well! A Facebook friend posted that she just ordered your Keto cleanse book so I went to amazon, just last night, to check it out and fell in love! I read samples and descriptions of all 3 books and wanted them all!! However, financially I can only get one at a time but I couldn’t decide which one to start with. Winning this giveaway of all 3 books would be perfect for me and my family! Thanks for the opportunity! Love your website and blog! I started the LCHF lifestyle in the hopes of decreasing my chronic migraines. I started back in October but fell off the wagon a bit due to the stomach bug and then the holidays. I’m back on track now and hoping for less headaches. I also want to encourage my parents who are both Type 2 diabetics to give this a try. Dairy free in 2017! My weakness is heavy cream in my coffee. I can’t find a good replacement. Allergic to almonds and soy is no good. My goal for 2917 is to lose about 10 more pounds and get stronger! Hi yall! My goal for 2017 is to be the heartier version of me. To heal myself, to have energy and to re-educate how I see food and nutrition in a whole new level. Happy New Year 2017 Maria and family! My goal this year is to be a better me. Get healthier, be more present, just all around better. I’m hoping this diet, along with Keto-OS will help me with the healthy part which should in turn, ( because of the ketosis) help with all the rest. My goals are to live less stressed. To stick to this lifestyle as an intentional way of life, while losing weight too. Planning to drop dairy in 2017 and see if it helps me feel more energetic!! 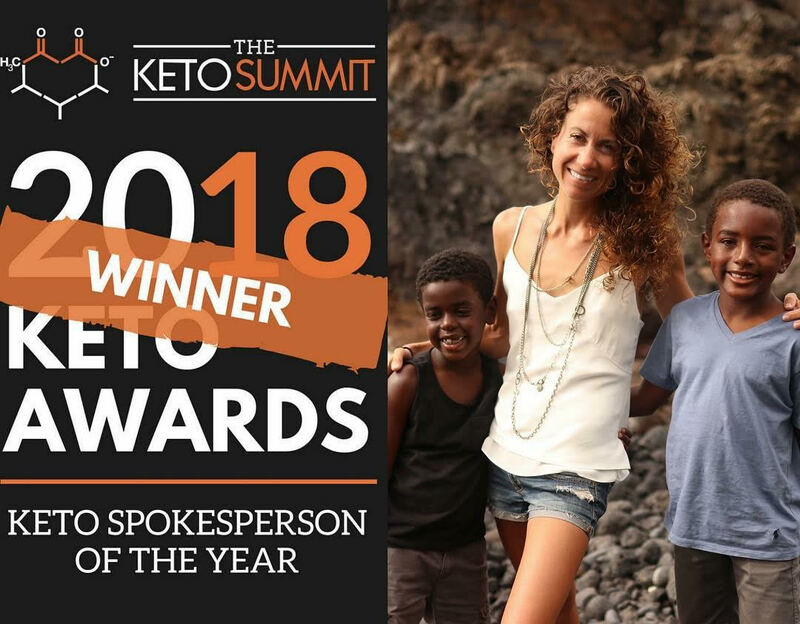 Thank you for sharing all of your knowledge with us and being an inspiration to live a healthy Keto Adapted lifestyle. My goal for 2017 is to continue on my keto weight loss journey and to act as an example for my family and friends that it’s never too late to take control of your health. To become more knowledgeable about the science of nutrition. And get this new cookbook!! My goal for 2017 is to learn to stop judging myself for past actions that can’t be changed and to stay on the path of sugar free and grain free. In 2017 I want to deepen my relationship with God, cut out pop, increase water, and have my tight clothes fit better! I would like to become more focused on low carb, build muscle and really increase my walking. My goals are to lose another 35 pounds and to feel stronger and more alive! Eat healthy and lose weight. My goal is to lose weight but more importantly I want to gain energy, be healthier, and sleep better. Trying for next year to eat ketogenic to heal my migraines! To be in best of health. My husband and I are eating Keto and really like it. My goals are to stay on track and get in the best shape I can be. I love all your books and want to purchase the new 30 Day Cleanse. I received 2 of your cookbooks for Xmas and am loving them. I have had Lyme disease for almost 2 years and am working hard on getting myself back to health. I can not wait to be able to have myself back again and resume an active lifestyle full of bike rides and roller skating. Thank you for your help and encouragement through these books. 2017 goals….To get my 11 year old granddaughter’s thyroid healed and to get my own blood sugar & insulin resistance issues healed as well. Thank you Maria & Craig for all of your help! I am going to regain control of my health! The past two years have been a tough ride with my father’s passing and my husband being paralyzed. I need to finally make myself a priority so I can find the courage and strength to continue caring for my beautiful family and friends who depend upon me. Maria’s hard work and dedication to health make my and our goals possible! Hi Maria-My 2017 goals are to get back to being healthy–I seemed to take a hiatus! Good clean eating is a priority! I will be in my own place soon where I can finally try out all the wonderful recipes I see on your blog. I would love this cookbook collection!! I appreciate everything you do! You are my inspiration! Thank you Maria! From the very first day I found you online I have been ever so grateful to learn from you, use your recipes, take your advice, and thank you for your answers to my questions including those about Keto/OS. I have never stopped telling people about you, your knowledge, your books. I loved the class I attended that you offered over a year ago now. Sometimes it seems hard to believe that it’s been 2 years that I’ve been on this path. As a fitness instructor, personal trainer and one that many look to for advice or direction, I have and will continue to point them in your direction. I let people look at my books, but do not lend them out because of how valuable they are to me. With that said, i know that has resulted in many ordering from you. However, you can not have too much knowledge and I hope to acquire the rest of your books possibly having a chance with this drawing. My father was diagnosed with Esophogeal cancer last spring. Because of how much I talk and practice ketogenic eating he made changes, as well. Those changes I believe are what helped him recover so quickly and completely from his surgery. He looks and feels healthier than he has since high school. Thank you Maria. I want to focus on taking care of myself- mind, body and soul- for 2017. I need to lose 83 pounds and improve my health to help with some medical challenges. I think this opportunity could be a great support for me to reach my goals. Thank you for this potential gift. I am looking forward to 2017, as my husband finally read your book and he now too is excited to join the ketogenic lifestyle. I am excited that the both of us are on this journey together. It is so much easier to stay dedicated with support. My goals for 2017 are to become more aware of hidden sugars and to get back into shape after a c section in november. I have learned so much from following you and your website THANK YOU! Could totally use this! Love you and your website. The two of you are Precious people and I am so glad to be under your counsel and guidance. My goal for 2017 is to stop studying the ketogenic woe and practicing recipes while still having toast with my coffee every morning and sugary treats at night. I will go full keto starting tomorrow, Jan. 5. I want to eliminate diabetes, high blood pressure and statin drugs from my life. I’ve been stalking the blog and Pinterest for awhile, but finally starting to take baby steps. My goals for 2017: Reduce the amount of sugar in our family’s diet and increase the vegetables and healthy proteins and fats. Spend more time together as a family. Try something new each month. Aim for health, not weight. Just got the ketogenic cooking. Would love to have both books to jump start the year. My goal is to fully switch my entire family over to a keto lifestyle. In May of this year I will have been ketogenic for 2 years and I want my husband and children to be able to fully enjoy all the benefits I’ve loved! My 2017 goals are to live a healthier lifestyle, finish my Bachelor’s degree and begin my Master’s, start on a plan to buy my first house, run a 5k, and get the most I can out of life! I am new to the ketogenic lifestyle. My goal is to lose 30 pounds and hopefully heal some nasty hip abductor tendonitis in the process. My goal is to win my battle against Rheumatoid Arthritis by following the Ketogenic Diet in 2017! My husband and I have just started on this journey together and with the help of your website/blog/books we will be informed to make the choices we need to get our lives on track. Here is to a great 2017! Down 30 lbs with many more to go. 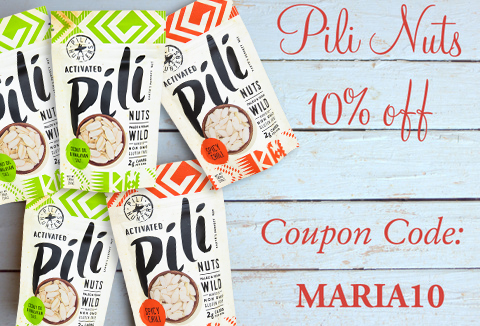 Love Maria’s recipes! 2017 goals are to prioritize learning and my health! Maria, I discovered the ketogenic woe by stumbling upon your blog one day, back in fall of 2014. By dec 2015, i lost 120 lbs. But in the past year I have had many stresses and have not lost anymore weight. Mind you thesepast couple months I havent been full keto. I still have another 100 lbs to lose and i want to lose it this year. Any help would be great. Just live your recipes, but a meal plan might do the trick! Thank you! Happy New Year to you and yours. I pre ordered you new book and LOVE it. My goal for the year is to work at making the ketogenic way of life to include more veggies. I lost 30 lbs last year on the ketogenic diet and felt great. But limited my veggies greatly. This year I want to work at having a more balanced diet. My goal is to get my husband to enjoy low carb foods and tell everyone I know the power of Keto! My goal is to not be pre diabetic and not to follow into the family curse! My goals are to continue on my health journey. I’ve lost over 100 #’s in the past year working with a doctor and dietician. Things came to a stand still and then I found Maria’s books and blog. I am currently 4 days into the 30 Day Ketogenic Cleanse. I do have a few of Maria’s books but I would like to share them with a friend who fights as many autoimmune dieases as I do. If I win I would share the book I get with her and continue to share this journey with her. These past four days my husband and children have decided to take this journey too. Between us we have 3 celiacs, 2 dairy allergies, 2 nut allergies, 1 spinal stenosis, endometriosis, 1 glucose intolerance and 1 metabolic syndrome. When I eat this way and truly stick to the plan I feel the best I ever have in my life. And so does my family. Incredible energy levels, no pains and overall healthy. Thank you Maria for all you do and share! I think keto is perfect for diabetic type 2 people. As it seems we are insulin resistant. You can never have to many reciepes. My goals for 2017 are to achieve my goal Wieght and maintain it. I’ve come so far in the past 3 years! I’d like to continue on my path of improving my health with a ketogenic lifestyle and learning new ways to incorporate this into my familiy’s life. New recipes are always so helpful. Happy New Year! Sleep better and loose the pesky last 15lbs. I know those two are connected. My goals for 2017 are to finally, stick with Keto and get off my diabetes meds and lose weight. My 2017 goals are to stick to a keto diet and lose weight. My goal this year is to reduce inflammatory foods and feel my best. My goal for 2017 is to continue with Ketogenic eating and get off some medications. I want to control my HBP and type2 this year! My goal is to eat cleaner and healthier for Me and my family, so I can continue to be the caregiver for my 95 yr. old mom who’s bedridden and T2D hubby (no meds). My goals for 2017 are to get back on track with Keto eating and to cook more meals at home. My 2017 health goals are to learn to stress less and find balance so my mind, body, and soul can become refreshed and energized! Goals for 2017 is to become and stay keto adapted. Also to get into consistent and varied excersize regime. Love every one of your books. Would love to win this! Thank you for EVERYTHING that you do and for sharing your wisdom as you keep progressing in this area. Much appreciated. Just received your new book. My goal for 2017 is to continue on my journey to better my health. Thank you for all your hardwork! My 2017 goal is to stay more strict on keto via following my macros instead of doing lazy keto. Thanks so much for the giveaway! My 2017 health & wellness goals are to lose another 20 pounds (keto of course) and to increase walking time to 45 min. a day. My goal for 2017 is to lose some weight and get healthier. Just turned 73 and weight loss seems to be harder than when I was younger. Tried to leave comment for book giveaway but did not work, my goals are to lose wt and I am going to the gym 5-6 days a week, low carb, keto diet and whole foods, also to be more patient and listen more and talk less ! My goal in 2017 is to get back in shape and back to keto! Just had a baby in November looking to eat right and feed my family the ketogenic lifestyle. Love what you do Maria!! My goal for 2017 is to not only lose 90 lbs (already down 15 in last two weeks) but to take my family and friends with me on this journey to good wholesome health. I’m so excited to share what I am learning and I actually have developed some converts while on vacation (presently). I have had so much energy and have volunteered to do the cooking and kitchen cleaning so have been serving healthy keto adapted meals and even desserts! Thank you so much for taking the time to research and develop this healthy alternative and for being willing to share with all of us. You are making a difference! I found your web page and liked it, and I even found Instagram and joined so I could follow you! Goals, mostly to get my type 1 diabetes under control. I also want to save to go to India. I would also like to try and read the whole bible thru the year. My goals are to lose the last 15 lbs of hashimoto weight! Cmon keto! My goal is to get back into Ketosis and start losing weight! I want to get back into shape and have a baby!!!! I did so good my last pregnancy on a low carb, ketogenic diet, felt great, looked great, no heartburn, it was fantastic… Then I went back to work and got really busy and spent way more money that I should at the golden arches, my weight was still great from being low carb before that, but after I stopped breastfeeding, I’ve ballooned almost to my 9 month pregnant weight and the worst part is… I know better! I think I have my husband on board now though, and we are ditching the garbage food and trying to make a lot of meals ahead of time to eliminate the snacking and fast food stops. I love your cookbooks, thank you so much for all of your recipes! I love your recipes and your approach to feeding healthy meals to your family. The books are beautiful! My Goal this year is to loose the last 30 lbs and to continue to research and learn about living a healthy ketogenic lifestyle. My goals for 2017 are to completely keto adapt my children and continue to gain knowledge of the keto lifestyle from Marias blog and books! Thanks for the awesome giveaway! I appreciate all you do. My goal for 2017 is to get in the best shape and health. 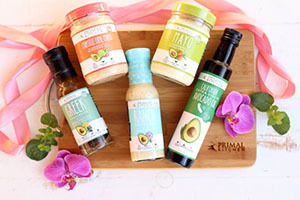 I adore Quick & Easy Ketogenic Cooking and would love to have the full collection – I’ve learned so much, and with the great recipes, I find it easier to trick my family into eating healthier! To continue to experiment making my own recipes using ideas from Maria’s cookbooks! Clean up my diet and exercise program! Aging is not easy, but moving more and eating a whole diet will probably improve it all! Hi Maria. I came across your website and purchased one of your books about 8 months ago. The recipes are so delicious and appealing. It did help me shed some pounds, but aside from that I felt so much better! I’ve strayed away for about a month now with the holidays, but am looking forward to trying some new recipes and program for 2017. Would love a copy of the new book to share with friends and family here in the Toronto area! Cheers. To create a Keto adapted lifestyle for myself and my family! I’ve been doing LCHF for over a year now and lost 70 lbs. I hit a plateau in August and have actually gained 10 lbs since October. I may have been eating to much protein and too many nuts. My goal for 2017 is to become truly Keto adapted and hopefully lose 25 more lbs. Thank you Maria for all you do and have done for people. Your recipes are a life saver and make eating LCHF pleasurable and not feeling like you’re missing out on anything. My goal is to make progress, and THRIVE! Major goal for 2017 is to get in the absolute best shape ever. My goal & for my 2 son’s also is we will do the cleanse…Your new book…we are very excited to embark on this journey. My goal for 2017 is to turn 62 in May at or near my goal weight loss of 50 pounds! Can I do it? My goals are to move more, lose 30-50 lbs while embracing life, myself, and my family as they are! My goal for 2017 is to continue improving my diet to make it easier to maintain a non-diabetic A1C even though I have Type 1 (autoimmune) diabetes. Would love to improve my overall health in 2017. Can’t wait to try out some recipes in your books! My goals are to lose the weight that I’ve been regaining and become better aware of maintaining my weight loss. I also want to coax and encourage my husband to get healthier and set a healthy example for my 5year old son. My goals are to learn a new way of eating that will allow me to be healthy and finally get my weight under control. I would like to lose 75 lbs within a year and learn how to maintain. Hello Maria! My goals for the new year are to look at how I can serve others more with my time and resources, to quick to listen and slow to speak(especially with teenagers lol), reading God’s Word (Bible) more and spending more quiet time with Him, and making it a goal to encourage at least 3 people a day. I set spiritual goals and place them where I can see them daily as a reminder. Physically, I want to add more variety into my keto diet so that I am more balanced nutritionally speaking. Staying keto strong and keeping my weight off! My husband and I have five kids. We both work two jobs and our kids play sports year round but we try to make family time a priority. The one thing that suffers is our food. My goal is to make healthy eating a priority again so we can pass along better habits to our children. Maria is a great role model and quite the chef. Keep the awesome work coming. My nutritional goal for 2017 is to include more vegetables in my diet. Interesting vegetables. So I’m looking for some appealing recipes that are Keto friendly! I also want to lose 40 pounds! My goal is to lose 10 pounds and get fit. Try to do muscle strengthening exercises 3 times a week and cardio 5 days. 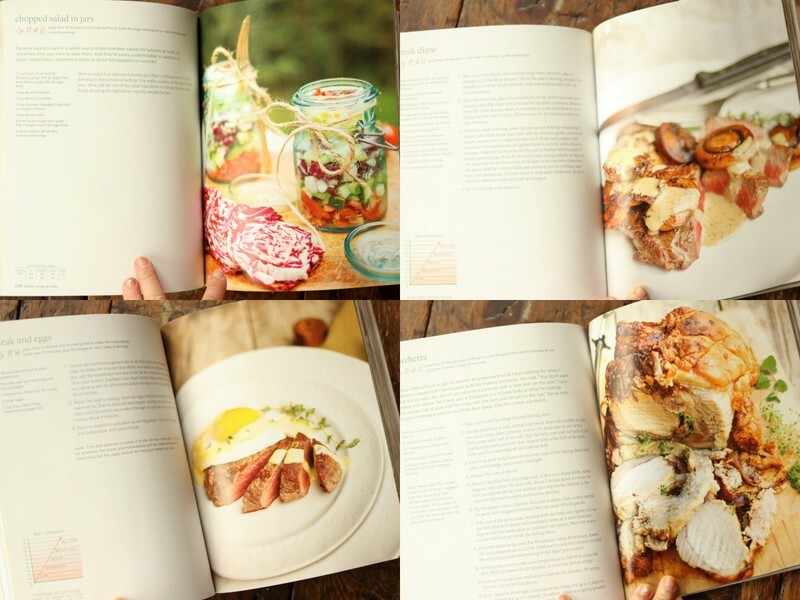 I love so many of your recipes, I’d love to win this set of books to make even more! My goal is to maintain a healthy lifestyle and diet! I have been diagnosed with type two diabetes in 2012, I tried eating better but failed so bad. My sugar levels were in the 250/300’s and that’s when I decided to do something but not sure what to do! 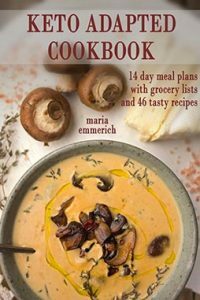 I came across a friend that introduced me to ketogenic diet, and another friend introduced me to one of Maria’s cookbook. So on October 2016 I started this wonderful journey low carb high fat and already have seem a renarkable difference! Not only my sugar levels are low 95/102 I’m not taking any Meds, I haven’t had any IBS symptoms and have lost 15 lbs! I’m happy to say my husband has jumped on board and my daughter and son in law too! I was so happy that I gave them my book (I need to order a new one for me, unless I win one) so thank you Maria, I’m looking forward to a healthy lifestyle full of adventures and longevity! It is my goal this year to be healthy and happy for my boys and for my unborn baby (due July). I have always had a very hard time during my pregnancy with binging. Instead of sticking to a healthy eating regiment and exercise, I play the “pregnancy” card (One more piece of cake won’t hurt, I’m too tired to go to the gym). I’ve done some research and found that Keto is totally healthy during pregnancy. When I follow the keto way of life I have more energy, feel more alert and am way happier. These cookbooks would sure help me stay on track my giving me easy/healthy recipes at the palm of my hands! My goal for 2017 is to not just start a diet, but to improve my relationship with food and change my current lifestyle. My goals for 2017 are to lose another 15-20 pounds and to eliminate much of the fatigue that has plagued me for years. I hope to finally heal my body, gut, mind all of it!! So over feeling yucky! I would love to win these books to help my weight management patients to continue to lose weight and better their health through education of the benefits of a keto diet. I have purchased a heap of books with my own money and created a lending library for my patients so they can educate themselves and be inspired by beautiful yummy low carb recipes. Having your lovely books in my collection would be amazing. My goals include tightening my diet and toning muscle. My goals for 2017 are to eat a more ketogenic, sugar-free diet. We are in a new town, everything is in storage, and we hope to find a home soon! My goal this year is to get healthy and not backtrack over the summer like I always do! My goal for this year is to get serious. I’m only here once and I want to make me the best I can be and not spend the rest of my life in pain and visiting doctors. I’ve started to follow the Ketogenic Diet in earnest, began a yoga routine, doing light cardio with added strength training and getting to bed at a decent hour. So far so good! My goals for 2017 include simplifying my life, refocusing my purpose (God, family first), self care (Keto, yoga) and hopefully spending a few weeks in Nicaragua this summer! My goal is to be more active and to adopt a keto lifestyle for energy and weight loss. Hoping to heal a chronic painful condition. Looking forward to beginning the journey by utilizing the methods you describe in your great books! Thanks for the opportunity to win your books and the motivation to begin a new lifestyle! My goal is to be healthier. My goal is to et healthier, reduce my Fibromyalgia pain with cleaner foods. 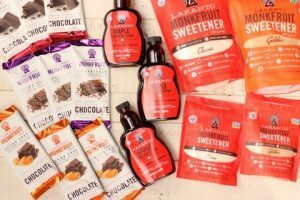 My goal for 2017 is to become healthier by being sugar free and grain free. I will loose weight, especially stubborn belly fat and I will get off medication for high blood pressure. I will enjoy great food and not become bored with choices of food. 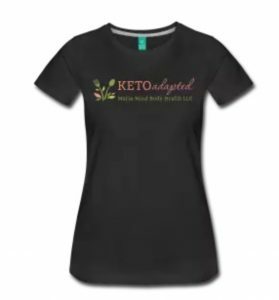 Your books will guide me as well as the support I receive as a member on Keto Adapted. I appreciate the wealth of knowledge you and Craig share. Thank you for all you do! I am completely new to keto but dove in head first a week ago. 1) Continue to learn about fitness and improve my routines. 2) Get our homeschool up and running. 3) Grow a bigger and better garden than last year and put up our harvest. My goal is to lose 20 pounds of fat. My goal for 2017 is to feel better and get some of this excess weight off… both are currently under way … Thanks. 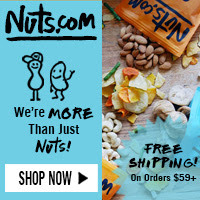 I just found your website and couldn’t be more excited. I’ve been struggling to find someone to help with my thyroid and resulting hormone & adrenal issues. I’ve seen many doctors over the past 10 years with very little results. My husband also has been struggling with ulcerative colitis. We are on a mission in 2017 to get our health back in order! 2017 goal: To do much more cooking myself and get to a healthy, maintainable weight. I am now 30 years old. At 29, I was in full blown liver failure. It was a turning point in my life to change the way I was treating my body. I was a RN/Paramedic and not eating well due to working all the time. It ultimately cost me my job, due to the liver failure. I adopted a paleo/ketogenic diet taking properties from both for optimal liver function. I not only lost 40lbs, but my liver is doing much better and on its way to healing. I would love to continue with my progress and move more toward a ketogenic diet during 2017. It gives me more protein and I feel better when eating foods high in protein and good fats! My goal for 2017 is to become more knowledgable about this kind of lifestyle! There is so much more to learn. I am on the journey though and you have been such an encouragement to me when I feel like a food freak or am discouraged about the can’t do list. I am so glad to be on this path. Thank you. I am very new to Keto. I am not sure how eating the “Keto” way will help me. But aging read your story, I became inspired to try eating my way to health. I am a vet with quite a few health issues. Since my prosthetic surgery four years ago, I have been in constant pain. 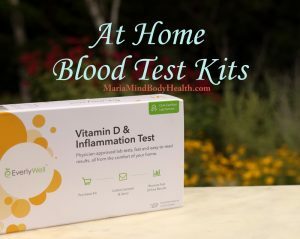 My health has deteriorated; my cholesterol is off the charts, blood pressure is high, I have gain a tremendous amount of weight and I have just been DX with pre-diabetes. Not to mention for four years I have been prescribed every pain pill know to man. Unfortunately, none of the Meds have worked. Now the VA has finally given the okay for acupuncture, which I am hoping will help me. Last week, I decided to try Changing my diet to Paleo and while searching the net for recipes, I came across your site. I read your story and decided to sign up for your recipes. Well, here I am: my goals for 2017? To eat healthy and lose weight. Eliminate the pain; cholesterol, diabetes, HBP and be able to run. I realize that this a lot to ask for, but after four years of fog, I am ready for the challenge. Thank you for the lasagna recipe, it was the best I have ever tasted. My goal is to continue to make keto my way of life. 4 months in and 40 lbs gone. Can’t wait to see what this year brings. In 2017 I’d like to lose at least 25 pounds, sleep better, improve my mood, and have more energy. In 2017 I would like to loose 45lbs and gain energy and vitality. I already have your cookbooks and ordered the new one a few days ago, but would really like to get another set to lend to some friends and family and maybe future clients. I have a degree of “nutritionist” and started with the Wheat Belly diet over a year ago. Been on Keto since februari last year and followed a few of your online classes. Learned so much what a traditional nutritionist education doesn’t teach us. I’m also an interior designer. That was my first job, but everything about health and nutrition interest me more. I haven’t done anything with my nutritionist education yet, but my goal is to set up this new bussiness whitin the next few months, so maybe I’ll even contact you for some help or collaboration. In Europe (Belgium) there is not much information on Keto spread, so I want to start this up. Thanks for beiing such an inspiration!!! Goal for 2017: Heal my mind and body. Be the best that I can be!!! My husband and I just began Keto-Adapted, although I already had two of your books (but not the one you’re are giving away!). We tried the Bourbon Chicken the other night, delicious! I have been pretty much Paleo for the last 3 years, due to being diagnosed with Hashimotos, and my husband needs to lose about 35 pounds, so we are ready to make this next change for our health. My goal is to try dairy free. First I have to consume the rest of my dairy, but I am almost there. I have been grain and sugar free for over a year now and feel really good. I have lost about 10 pounds, but would like to loose about 10-15 more. This however, is not my main reason for this lifestyle. Two years ago I ended up in the ER for severe abdominal pain that I thought was an appendicitis! However, after thousandsome of dollars worth of tests, they couldn’t find anything wrong with me! That is the day I decided the let food be thy medicine and have felt great since! I also bought your book 30 day ketogenic cleanse through amazon and I’m looking forward to reading it after the audio book. Thank you!!! Thanks! Message Craig here and he can get you that. Thank you for the giveaway and everything you do! My goal is to simplify a healthy lifestyle and daily habits for my family. We eat healthy for the most part but I find the cooking and preparing overwhelming at times. 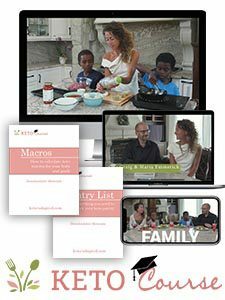 I would love to get my family totally on board with this way of eating and I think these cookbooks would help tremendously. My goal for 2017 is just to make sure I get at least seven hours of sleep each night. Sounds easy, but for me it’s really not. I’m going to stop letting social media distract me from resting anymore! My goal is to lose weight period! The keto lifestyle has been my world for about 10 years and going strong. I don’t have weight to lose, but I do control my PCOS (zero cysts found after becoming keto adapted) and thyroid disease with it.. both of which I was diagnosed in my late teens! Crazy! Turning 40 this year, feel fantastic and I practice what I preach… your blog and cookbooks help me do so! Keep up the incredible work and inspiration! I have been doing a keto-adapted lifestyle for years. I still have the last 20 to take off and it just keeps coming back. Need to figure out the trick to keep it off. My goals are to get back to a keto diet as a full time working mom. I did it once and fell away. Also I want to figure out if it can fix my migraines. When I first went on a keto diet – after about a month they went away for the first time in my life. After another 6 weeks they were creeping back and I never could reproduce that temporary effect. I can’t find doctors who can explain why they went away or why it didn’t last. If you have any insight into this please email me at amy2boys @gmail.com. The migraines are debilitation without medication. I plan on running a mile a day and reducing inflammation by staying in ketosis! I am new to the keto world. Would love all the help I can get. I want to get healthy. My goal this year is to get to my ideal body weight and have more energy. This is probably 15 to 20 lbs I need to lose. My 2017 goals are to become physically fit, and inspire others. My goal for 2017 is to reset and feel good. I would like to lose about 25 pounds but most importantly get rid of my back and hip pain that stops me from doing any exercise. I want to get back to the old me, the healthy me. My goal for 2017 is to take better care of myself and my family- taking better care of myself means being more consistent with my food choices, meditating and drinking more water. I love your books! Thank you so much Maria! My one goal declutter my life. That includes home, work, as well as the excess I have in my body. I want to relieve the stress that so much stuff dumps on me. I think if I get my body in check then I will feel better about purging the rest of the areas in my life. I am working on getting healthy, I really enjoy your recipes and your blog. Thank you for this chance. I have been grain free for over a year, gluten free for over 5 years but I am putting your recommendations to work as I feel I am finally ready to take Keto on. I have lupus and want to keep my inflammation as low as possible. I also wouldn’t mind losing a bit of weight too. Thanks for all your great information! I have been LCHF for over 10 years. While it helped, I still feel sluggish at times. After experimenting with ketosis a few times, I have decided to try and go full keto. Your blogs and books have been very helpful, and I hope to put these things to good use in 2017. Happy New Year Maria. Start the ketogenic diet, lose weight, have more energy! My goals for 2017 are to lose 30 lbs in weight, maintain my healthy and active lifestyle, and photo-document my 6 month old daughter as she grows. In 2016, I had a severe ankle injury that required me to wear a removable cast for 2 months and further 4 months of physical therapy. All this while my wife was expecting our first child. No activity and an expecting wife led me to transition from fat to obese, resulting in other health problems. I started a keto diet and strength training 4 months ago for weight loss. It has helped me lose about 30 lbs but that is barely half my goal. It has definitely helped me get healthier and I wish to maintain this lifestyle for life. I’d like to lose 50 – 60 pounds. I’m tired of dragging it all over with me. I miss my normal weight range and it’s been so frustrating to start and get sidetracked going in circles. My goal for this year is to help my family get healthier. I have lost 100 lbs in the last 18 months and I know my husband and son would benefit from a keto lifestyle, as well. My son has ADHD and anxiety, and eczema that doesn’t go away. 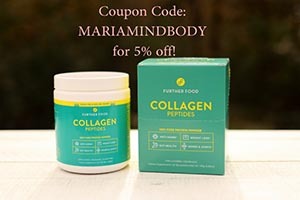 I love Maria and her books and newsletter! My go-to keto bible! I did a LCLFMP in 2014 and lost 75 lbs. in 9 months. I followed the maintenance program for 2015 but in 2016 I put 20 lbs. back on. I think I may have damaged my metabolism by doing 800-1000 calories for such a long time while I lost the weight. 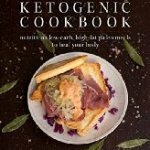 I discovered your site in November and started doing Keto after buying your Quick & Easy book but I need some additional guidance because I am not loosing like I should. My happy place is 140ish and I’d like to get back there again. I love your recipes, they are all so tasty!! Hi Maria…I have lost 22 lbs in last 3 months of 2016. My goal for 2017 is to take off another 8 lbs. 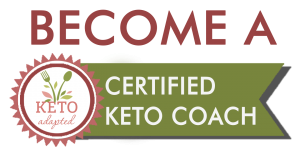 I love ketogenic lifestyle…and your website and books are soooo helpful. Abundant blessings in 2017! My big goal for 2017 is to have more energy and think clearer. This has definitely improved since starting keto, so hopefully I’ll continue to see more progress. Love your blog and recipes. Your recipes are an inspiration. I have tried Keto a couple of times due to falling off the wagon. My boyfriend has been living the keto lifestyle for over a year, and finds it super easy to just eat fat and meat. As a woman I like different foods, and I struggled to find keto food blogs that were appealing or keto recipes that looked as good as the sugary ones. I have found that with your blog and the book you co-authored with Jimmy. So firstly, thank you. My goals for this year are to get in better shape via what I’m eating and exercising for roller derby. I want to get keto adapted to see if some of my other health problems like inflammation, headaches and tinnitus are improved. I don’t have a set weight goal, just to be healthier than I am now, but knowing that I’m eating food that is good for me. In 2017 I would like to change my lifestyle to be healthier. A little discouraged with trying this ketogenic diet out on my own with recipes found online. Started out with losing 5 lbs over 5 months, then gained all that back and then some (15 lbs the other way) in the past 4 months. I do not want to measure out my food and restrict myself to a scoop of food at mealtimes. Feeling down and discouraged. 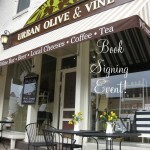 I’d love, love, love to have print copies of your books. I’m listening to to Secrets to a Healthy Metabolism (purchased on Audible.com!) and you say that I should limit my caffeine. I’m totally addicted to caffeine and supplement my green tea with about 200 mg of extra caffeine in powder form. Does naturally occurring caffeine from guarana and green tea leaf extract also increase insulin? I’m looking for an energy substitute. I plan on taking for salt baths and infared sauna treatments for detoxifying heavy metals this year. My goals are to get serious with my eating and exercise and finally get healthy, and to get work on our house done! My goal is to make more time for me in 2017. My goals are to spend more time in the Word, clear up my skin and run a marathon! I’m so beffuddled about 2017! I’ve lost more weight than I ever thought I could in 2016, I’m down to 165, and I can’t decide if I want to lose any more. I’m in a size 8, and that presents difficulties, in that it’s hard to find size 8 tall pants, and my ankles are cold! These are all great problems to have, and I’m having a hard time nailing down any goals or resolutions for this year. I’m definitely staying on the Keto way of eating, so if I lose more weight, that would be great, I can’t get a smaller pant size, it’s already to hard to find them. My goals include weight loss and eating healthy, trying to help husband with diabetes issues and fatty liver. Thanks for this site, full of info and thanks for the chance to win these books! Love your books and site. You are a great inspiration for our keto lifestyle. Looking forward to getting keto-inspired with your newest book. Best of luck in the new year to you, your family and followers! So much wonderful health related info out there. My goal is to figure out what works for me and put it all together. My goals include being healthy, getting my metabolism to work properly and hopefully having fun while doing both. My goals, as always, are to lose weight and eat healthier. My goal is to continue inching my way to a keto assisted healthier lifestyle. Cutting out sugars was my starting point after reading Phinney and Voleks “Low Carb” books three months ago but having PD made me cautious about going Keto until I was given your “Quick and Easy” cookbook for Christmas. The recipes that I’ve tried so far were given rave reviews by my family so now I’ve been cooking and reading and cooking and reading and have been so moved by your heartfelt inspirational words that I’m ordering your new 30 day cleanse book to hopefully “get me over the top” to a totally Keto lifestyle. 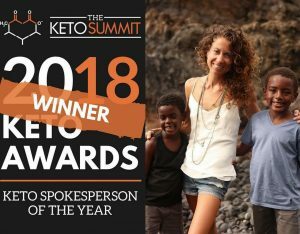 One question – do you have any information on people with Parkinson’s that are benefitting from a keto lifestyle that I could pass along to some of my friends who also have PD? My goals are to eat healthier, provide better meals for my diabetic husband and make sure my kids don’t develope diabetes. My last baby just turned three yesterday and I need to work on me. This baby weight us hanging on! Thank you for this giveaway! My goals are to stay keto adapted in the face of friends and family who don’t support this way of eating! 🙂 I not only want to lose weight but hey my health back! (No more headaches or icky stomach feelings) this would help a ton!! I want to get rid of the inflammation plaguing me. I am 46 and have osteoarthritis in both hands. I am unable to take NSAIDs, so I need something non-pharmaceutical. Your cookbooks look like a great start to this journey. Lose 70 lbs, reduce inflamation, eat heathly and exercise! 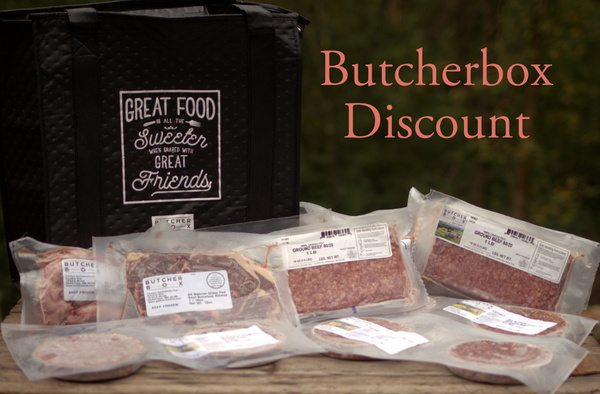 Thank you we finally found a great resource for dairy free keto recipes! My goal is to get my family on track with keto and improve our health. My goal is to get back to eating and staying ketogenic., learning new keto recipes, and adding exercise on a regular basis. I hope to find a healthy lifestyle that I can maintain permanently. Thank you! Not to have the health issues I had last year! Continue working on building back my health and strength. Get Healthy! Lose Weight. Be More Active. My goals are to really turn my life around and get serious about my health. I am on a journey to lose 100 pounds. I am working out and eating low carb. I would love to learn all that you can teach me about eating right. So far on my own i’ve lost 26 pounds and have came to a stopping point and i heard about keto diet and found your(maria’s) website and really have been excited about finding healthy eating and diets. I’m allergic to nuts and paleo has never been an easy option or diet but i love the idea and when i saw this it fit into my lifestyle. My goal this year is to keep eating well and exercising i found cycling and zumba have gotten me moving again, and motivating myself to go 4-5 a week. I hoping to loose at least 60-80 pounds in 2017 and if not by 2018 i use to be a soccer player and by next year i want to be able to get back on the field ! Thanks for making eating healthy enjoyable! My goals are many. First, I need to be able to keep up with my 4 year old son. I need to get healthy and lose some weight. I have started with intermittent fasting and I’m transitioning to a ketogenic diet. Secondly, I want to help my husband with his health issues and anxiety. He takes way too many pills and is miserable. Last but not least, I want to be happy and not feel like I am limited to activities due to my weight and lack of energy. I missed out on snowboarding last week because of my condition. I appreciate your mission to help others. I am moving to New Zealand in March to get healthy. I work for a county agency and hurt myself almost 2 years ago at work. The worker’s compensation people have had me jump through hoops to get the treatment I needed and have almost beat me down with their remakrs about how I can’t have an injury. I have become ill, unhealthy, depressed and mad as hell. My son and daughter-in-law live in New Zealand, along with my lovely grandson. They are so healthy and health-conscious and I realized that I can’t be productive in my job if I am not healthy, which I no longer am. I want to be healthy again so I can live the life I was meant to live. I am excited and not afraid at all because I believe that this journey was put together for me because of this injury and it is a new adventure. I am interested in the Paleo way and plan on making 2017 the year of Sherry… when I make a transformation beyond my dreams. Can’t wait to get started on this new journey. My goal is to become healthier as we prepare for IVF this year. In 2017 not only do I want to lose weight but to learn to be healthy. I have a lifetime of unhealthy choices to undo and I think a ketogenic diet would be a start. My goal for 2017 is help take care of my father in law. He is 78, diabetic and overweight. He just lost one leg on Jan 3rd due to bad circulation, may face loosing the other one down the line. Going to have surgery tomorrow 1/9 to scrape black spots from his bladder from cancer, hopefully not have to remove the bladder. Sad thing is, the doctors are still feeding him spaghetti, juice, bread, pudding…even with his diabetes! I have learned alot watching him and learning the keto woe. I am determined to lose over 100 pounds myself, help my husband loose that much as well. Both of us have bad family history of diseases and want to make the change for our 2 yr old daughter (and any more possible kids). I am really loving all the recipes I’ve been finding and would love to have physical cookbooks! I had my parents over for supper one time and cooked a Keto meal and they couldn’t leave without the recipe! I’ve tried a few recipes for work potluck and they are a hit too! This really is an eye opener and is going to be a lifetime change! Thank you! I’m so excited about your books! I figured out that I have a carb intolerance and I need to loose 80 lbs to be at my optimal health. I really enjoy your videos and explanations as they really tell me how this whole keto thing works. I would love your cookbooks to have as reference and to share with others! I know I will be able to do this with your website and advice! I want to get back on track after a hard holiday. Luckily I have the tools thanks to you. 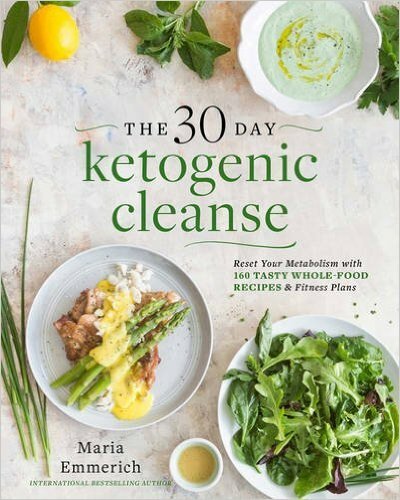 Hi Maria – I’m enjoying your “quick & easy ketogenic cooking” cookbook. I’m about 2 1/2 weeks into this experiment. Over the weekend I had morning Ketones as ranging from 0.6 to 0.8 using the NovaMax meter. One day I tested late afternoon at 0.9. I’m still struggling during the weekday with headache, mental clarity and a bit of dizziness. My work entails long durations of critical thinking and computer programming. Is there anything I can do to improve those areas? My 2017 goals…. first and foremost, to broaden my relationship with the Lord. As far as my path to health and wellness, my husband and I have started our transition to Keto in the tail end of December 2016. This year I will add my children to the Keto lifestyle as well. I would love this collection of your books to add to my family’s steps to this healthier way of living! 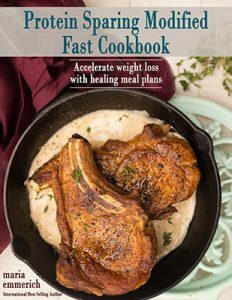 I’m doing Whole 30 right now, but want to start you Keto Diet plan from your new book. Goals are to continue my healthy, keto lifestyle. I’m a mom of six, feel great, and I’m in the best health/shape of my life. Thank you for all your amazing recipes, advice, website & books. I’m new to the Keto lifestyle. I lost over 50 lbs last year and I gained some back over the holidays. I started feeling run down and tired. I researched the Keto diet plans and ran across yours. The book I ordered is on it’s way to me. My goal is take off the weight I put back on and remain a healthy weight. At 5 ft tall, I can’t afford to put on too much weight again. I like being smaller and feeling healthy. Thanks! I bought the 30-Day Cleanse book a month ago and found (after cutting out the dairy and nuts) that my blood sugar was much more stable. Last weekend I snacked on some low-carb granola that is about 1/3 nuts, and found my average readings rose from average 5.7 to average 5.9. My weight has slowly dropped from 167.5 lbs. a month ago to 156 this week. I’m not sure why my English muffins turned out a bit green, though! I made your recipe exactly as written and baked the two of them in the convection oven. Had it been sunflower instead of coconut flour I could understand it. They still tasted good. I’m picking and choosing from your recipes, and adapting as needed to allow for our allergies. So much fun allowing for nightshades and peanuts AND staying away from grains, starches and sugars. Your books are very helpful. We are on day 2 of keto cleanse. How much should we up the serving sizes to relieve hunger? My husband is a big guy (240 lbs and needs to get down to 200lbs), how much should he eat relative to suggested serving sizes. We are both eating more than the serving size to feel not starving. So far we love the recipes, thank you! Goals for 2017, just to lose 10lbs and stabilize. I have difficulty with coconut so as a vegetarian keto want-ta-be, its not easy to get there. Thanks for all your help.